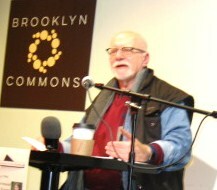 By Mark L. Blackman: On the rainy (though not snowy) evening of Tuesday, April 3, at its venue, the Brooklyn Commons Café in Downtownish Brooklyn, the New York Review of Science Fiction Reading Series featured offerings from authors Chris Claremont and Chandler Klang Smith. 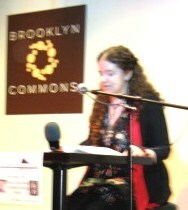 The event was guest-hosted by Amy Goldschlager, an editor, proofreader, book/audiobook reviewer, and a past Curator of the Series. July was unbooked at present, August would be a launch party for Bill Campbell’s two-part anthology, and the 28th Season would open in September with a commemoration of the 10th anniversary of Beneath Ceaseless Skies. He concluded by turning things over to the evening’s guest curator, Amy Goldschlager. Smith, who read from the novel, concurred; Empire Island is loosely based on a future New York City, one with flying, fire-spitting dragons. Duncan Ripple V, scion of a wealthy family, is haunted by, then conscripted by, the Phantom Fireman, aka the faceless Leather Lungs, to be his protégé fighting dragon fires, as you’d expect, a major threat to the largely ravaged city. During the intermission, there was a “very cool raffle,” a drawing for those who had donated, with the prizes being an Advanced Reading Copy (“ARC”) of The Sky Is Yours and a copy of Nightcrawler (which was fittingly won by a young fan). As part of the course he’s teaching at NYU in writing graphic novels (“The challenge of not being Frank Miller,” he noted, is having to find an artist), he wrote a sample story; his offering, a work-in-progress, grew out of that story. In our history, Kublai Khan tried to conquer Japan, but his fleet was blown off course by “the Divine Wind.” In his alternate history, China succeeds and the Samurai flee in boats, settling in the Hawaiian Islands, as well as in Alaska and California. Over the next few centuries, they bond with the indigenous peoples and spread, so that when Europeans arrive, they find an integrated warrior society, with horses. Thus, in the 21st century, the British domains (there is no American Revolution) end at the Alleghenys – however, somehow technology is present-day (the Internet, planes, GPS and CSIs), though we might quibble that different geopolitics would lead to technological divergences – and when a Maui-born girl is murdered in the no-man’s-land of Ohio, there’s a joint Anglo-Indigene investigation (and “spy stuff” … and unaccountably, there are dragons). As traditional, the Jenna Felice Freebie Table offered giveaway books, and, it being the 5th night of Passover, several sheets of matzoh. The audience, which exceeded 50, included Sue Hollister Barr, Melissa C. Beckman, Susan Bratisher, Karen Heuler, Alexa and Nicholas Kaufmann, Barbara Krasnoff, Gordon Linsner, Herschel M. Rothman, and James Ryan. Over the course of the evening and afterward, and, for some, despite the holiday, many audience members availed themselves of the Café’s food, coffee bar, beer and wine. (1) AIRTIME TRAVEL. Got to love this. 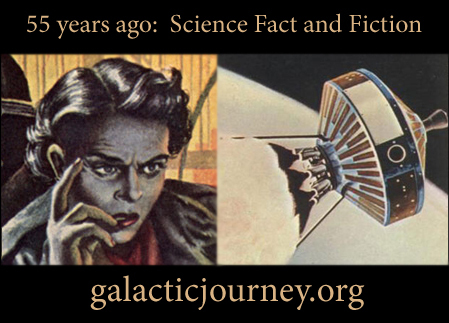 Galactic Journey, the blog that walks day-by-day through sff history from 55 years ago, has founded its own online radio station — KGJ, Radio Galactic Journey, “playing all the current hits: pop, rock, soul, folk, jazz, country — it’s the tops, pops…” Dave Brubeck was performing a hot jazz number when I checked in. (2) THE TELLING. From The Hollywood Reporter: “Ursula K. Le Guin’s Sci-Fi Novel ‘The Telling’ Getting Big-Screen Adaptation”. Producers had been working with the late author on the project before she passed away in January. The Telling, the acclaimed sci-fi novel from influential American author Ursula K. Le Guin — who died in January — is being adapted for the big screen. Bayview Films, a division of Bayview Labs, announced the project Wednesday, with Rekha Sharma (Battlestar Galactica, Star Trek: Discovery) set to star. The film will be written and directed by Leena Pendharkar (20 Weeks, Raspberry Magic). The Telling follows Sutty Dass (Sharma), who travels from war-torn earth to the planet Aka, which has suppressed its rich culture in the march to technological advancement…. (3) YOU’RE THE TOP. The Guardian’s Gareth L. Powell has fun justifying his picks for the “Top 10 spaceships in fiction”. Aldiss, Leckie, and Banks are on the list. In the aftermath of the US civil war, members of the Baltimore Gun Club construct a cannon capable of launching three men to the moon. Published in 1865, this novel was one of the first to take a serious stab at describing a space vessel and its means of propulsion (earlier attempts involving balloons and geese notwithstanding). Although Verne got a few of his calculations wrong (the length of the cannon’s barrel would have to have been much longer), most of what he describes seems remarkably prescient when you consider it was written a century before the first real moon landings. (4) KGB. Fantastic Fiction at KGB reading series hosts Ellen Datlow and Matthew Kressel present Kelly Robson and Chandler Klang Smith on Wednesday, March 21, 7 p.m. at the KGB Bar. 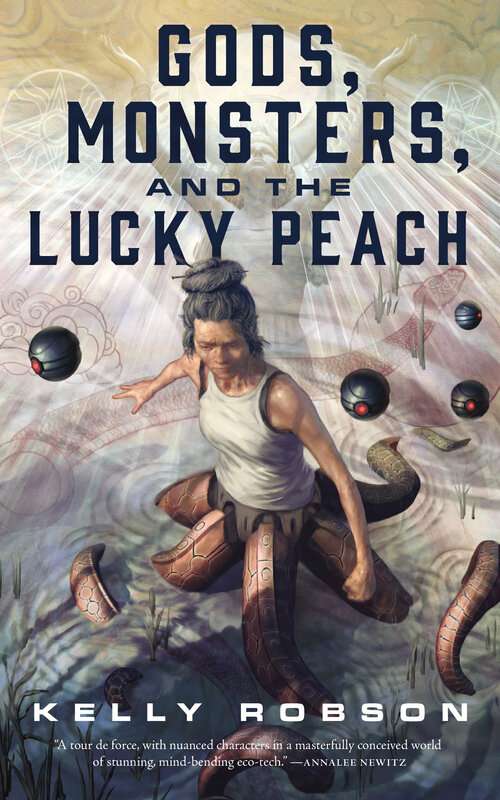 Kelly Robson is the author of Gods, Monsters, and the Lucky Peach. Last year, she was a finalist for the John W. Campbell Award for Best New Writer. Her novella Waters of Versailles won the 2016 Aurora Award and was a finalist for both the Nebula and World Fantasy Awards. She has also been a finalist for the Theodore Sturgeon Award and the Sunburst Award. Her fiction appears at Tor.com, Uncanny, Asimov’s, and Clarkesworld, and she is is a regular contributor to Clarkesworld’s Another Word column. Kelly lives in Toronto with her wife, SF writer A.M. Dellamonica. 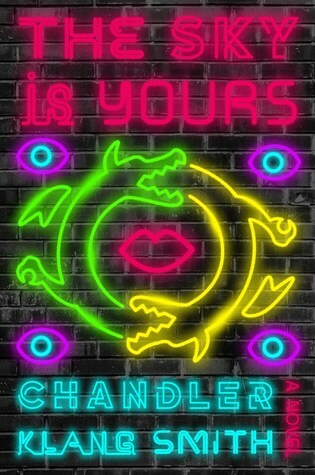 Chandler Klang Smith is the author, most recently, of The Sky Is Yours, which was published by Hogarth/Crown in January 2018. A graduate of the creative writing MFA program at Columbia University, she is currently serving as a juror for the Shirley Jackson Awards for the second year in a row. She teaches and tutors in New York City. 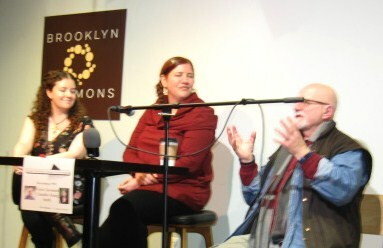 Also, here are Ellen Datlow’s photos from the last KGB reading with Cassandra Khaw and Peternelle van Arsdale. (5) CASE STUDY. The Robotech® RPG Tactics™ Kickstarter-funded game and miniatures expected out in 2013 won’t be coming late or at all. Kevin Siembieda, President of Palladium Books® wrote a long explanation and apology. Some of the rewards will still be made available to backers willing to pay the cost of shipping. When the Robotech® RPG Tactics (RRT) Kickstarter funded in May 2013, we cheered, hugged and actually danced down the halls at the Palladium office. Not just because of the amount of money raised thanks to your pledges, but because it meant the realization of our dreams for Robotech®. For Palladium Books, it signified bringing Robotech fans – ourselves among them – something new and exciting to the beloved Robotech® universe. ….The Kickstarter money was gone with Wave One, but Palladium never gave up on Robotech® RPG Tactics. We explored every available option in order to secure more funding or bring in business partners and investors. We solicited multiple quotes and explored different manufacturing options and new production technologies for these potential partners. As you know, there was a period when we felt very confident Wave Two would see production and release. Unfortunately, despite our best efforts, we came up short. But we were so committed, even that did not stop us. We reached out to others. Even Harmony Gold and Palladium’s licensing agent tried to help us put deals together with third parties. We made a Herculean effort and did everything we could, right through this past Christmas and into the New Year, but without success. The cost to produce Wave Two, estimated at $300,000-$400,000 for tooling and manufacturing, plus $65,000 to import to the USA, plus $120,000-$160,000 to ship rewards to the backers, was more than any potential investor was willing to risk. Whenever anyone pledges support to a Kickstarter project, you never know if it will be successful or not. It is a gamble. This is true of any business venture. We are sincerely sorry this one fell short. We gave it our all, but that’s the rub about life and business, sometimes your all is not good enough. Sometimes you miss the mark despite your best efforts, good intentions, and the money you pour into it. I’m sorry that was the case with RRT. (6) SUPERFICIAL SCIENCE TALES. Nicholas Whyte could not resist the temptation to try and quantify “Who are the leading Hispanic writers of science fiction?” Would you like to guess who came in last? Anyway, here are the results, ranked (as is my usual habit) by the geometrical average of the number of owners of the top book by that author on both systems. In most cases the same book was top on both systems for each author. In a few cases lower down the table, different books topped the author’s list on Goodreads and LibraryThing, so I took the one with the highest geometrical average of the number of owners. In one case, an author’s top book on Goodreads scores decently enough in the bottom quarter of the Goodreads table; but not a single LibraryThing user appears to have acquired any of his books. So he is listed at the very end…. (7) GENERAL ROMANTICS. Doctor Strangemind’s Kim Huett looks back at “A.E. 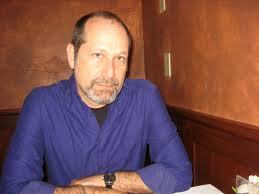 Van Vogt – In the Beginning” – it wasn’t what he expected. Since then an old friend of mine, Denny Lien, who knows more about such matters than I ever will, pointed me to a page on the van Vogt website that actually reprints one of these stories and gives some background on how it was rediscovered. So it turns out I was wrong about him writing for the true adventure pulps. What he actually wrote apparently were true confession type stories which is about as far from his later science fiction in theme and style as you could get…. Demonstrating my usual quick wit, some time after posting the last “Summation of Online Fiction” which happily proclaimed my new coverage of print zines, I realized the title no longer applied. I could change it to “Summation of Short Fiction” but shorter’s better and I hopefully won’t ever have to change the one-word title again. February). I’ll hang on to the March stories until that “Summation,” so this post covers everything from January 27-February 25. This was a below-average month in the quantity of noted stories but they’re of especially high quality. (9) FABRAY OBIT. Nanette Fabray (1920-2018): US actress, died February 22, aged 97. Genre appearances included Alice Through the Looking Glass (1966), The Girl from U.N.C.L.E. (one episode, 1967), The Man in the Santa Claus Suit (1979), The Munsters Today (one episode, 1989). Born February 28, 1948 – Bernadette Peters. She’s had other genre roles, but John King Tarpinian sent the item because of her appearance in the 1980’s TV adaptation of Ray Bradbury’s The Martian Chronicles. Saved, or merely fate delayed? John King Tarpinian says that’s the question in Close to Home. And The Flying McCoys have fun with a bumper sticker trope. (12) ORANGE MIKE. Wisconsin fan “Orange Mike” Lowrey has started a GoFundMe to help defray the costs of his attending a march in Memphis in tribute to the late Martin Luther King: “Union Marcher to Honor Dr. ML King”. When Dr. Martin Luther King, Jr. was murdered in 1968, he was there in support of my Union, AFSCME, supporting the workers of AFSCME Local 1733 in their famous “I AM A MAN” demonstrations. This year, AFSCME members from all over the nation will gather in Memphis to honor his sacrifice and his example. I’m a native West Tennessean. , now president of a mostly-black AFSCME local union (Wisconsin State Employees Local 91); I am particularly eager to pay this tribute. The problem is that lost days’ wages, travel to and from Memphis (I live in Milwaukee), and housing, will cost me a lot of money I can ill afford. Make no mistake: I WILL GO anyway; but if folks can ease the fiscal pain, I would appreciate it. The march is in April; I’ve got to make arrangements much sooner than that. 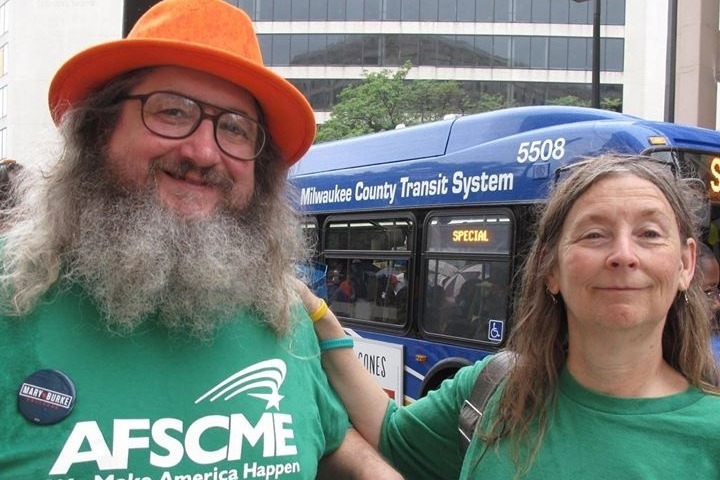 And if you see coverage of the march, and the proud banner of Wisconsin State Employees Local 91, AFSCME, shows on the screen, you can have the warm feeling of knowing you helped. He has raised $20 of his $940 goal so far. (13) HORROR IN THE DEEP. Dread Central has video — “Someone Put a Statue of Jason Voorhees in a Minnesota Lake For Divers to Stumble Across”. Remember the end of Friday the 13th Part VI: Jason Lives where Megan and Tommy manage to trap Jason in the bottom of Crystal Lake? Well, it seems that some random person has recreated this scene by planting a Jason statue, complete with mask and machete, 120 feet deep in a Minnesotan lake that is supposedly very popular with divers! Having been down in the water, the statue has developed a worn, algae-covered appearance that almost makes it seem all the more lifelike. My only complaint is that it looks very rigid, like it’s clearly a mannequin or some sort of statue. But that’s such a small gripe when you stop and realize that someone put a freakin’ Jason Voorhees statue in the bottom of a lake! (14) YELLING WARNINGS AT THE SCREEN. At Nerds of a Feather, Chloe N. Clark gives us a microreview of a film called The Ritual. Adam Nevill’s novel The Ritual is one of the few recent horror books to genuinely scare me as I read it, so when I saw that Netflix had done a film of it I was both excited and nervous. By nervous, I mean incredibly cowardly and watching the trailer through my fingers. However, I summoned up the courage (and by courage, I mean making someone watch it with me) to see it once it premiered on Netflix. Did it live up to my expectations (and by expectations, I mean did it leave me sleeping with the light on)? Both yes and no. The plot of The Ritual sees four friends on a hiking trip in northern Sweden (it’s the King’s Trail in Sarek National Park—FYI, it looks gorgeous and even the movie’s creepy happenings couldn’t keep me from thinking about how much I’d like to hike there). The hike was supposed to be a bit of a friend’s trip, but is now a memorial trip for the fifth friend—who died in a liquor store robbery. Once on the hike, things begin to go awry, starting with one of the four twisting his knee. They decide to take a shortcut (Or the World’s Biggest No-No if you are in a horror movie) through the forest and soon strange and creepy things begin to happen. These includes symbols carved into trees, an elk gutted and hung up, and the world’s most DON’T STAY IN THERE cabin since the one in The Evil Dead. Of course, things only go downhill from there. (15) ZELAZNY’S ROAD. Tadiana Jones looks back at a 1979 Zelazny book in “Roadmarks: The Road must roll” at Fantasy Literature. (17) LET THERE BE LIGHT. These signals are believed to date to about 180 millions years after the Big Bang: Cnet reports, “Stars billions of years old drop big clue to early universe”. Astronomers have picked up a radio signal from the moment the lights went on in the universe billions of years ago, and they’ve discovered some surprises embedded in it. No, not aliens, but potential evidence of something just as mysterious and elusive. Using a sensitive antenna only about the size of a table in the Australian desert, scientists managed to isolate the very faint signal of primordial hydrogen, part of the cosmic afterglow from the Big Bang. But the ancient signal from this basic building block of the universe also carries the imprint of some of the first light from the very first stars ever. (18) PERSISTENCE. Scientists consider an inhospitable desert: “Atacama’s lessons about life on Mars”. Even in the driest places on Earth there is life eking out an existence, it seems. Scientists have examined the soils in those parts of the Atacama desert that may not see any rains for decades. Still, the team led from the Technical University of Berlin, Germany, found evidence of microbes that have adapted to the extreme conditions. These hardy organisms are of interest because they may serve as a template for how life could survive on Mars. Expect Chandler Klang Smith and Robert Freeman Wexler to lead the audience into a circus of unearthly delights at the New York Review of SF Readings on March 11. Robert Freeman Wexler will read from his recently-completed short novel, The Silverberg Business, a surreal detective story set on the Texas gulf coast in 1888. 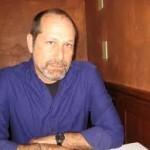 Wexler’s latest published novel is The Painting And The City. He also has written a novella, “In Springdale Town,” a novel, Circus of the Grand Design; and a chapbook of short fiction, Psychological Methods To Sell Should Be Destroyed. Chandler Klang Smith will read from her almost-completed second novel, tentatively titled Smog. Her first novel, Goldeland Past Dark, a weird tale of carnival performers, appeared in 2013. 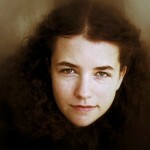 She is has worked as a reader for the Paris Review, and as the Events Coordinator for the KGB Bar.